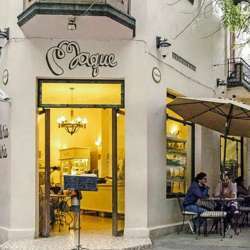 You must be a member of the Mexico City Coffee & Brunch Group to attend this activity. Would you like to join this group? Come and enjoy of one of our favorite spots for breakfast in the Protected content . It has everything you could want, service, style, wonderful baked goods, and a nice professional vibe in the place.... when you can smell the... breath from the oven.